The $215 million Eagle Community beats nine credit unions to win bragging rights and $5,000 for a charity. Eagle Community selected Barbara McRae's recipe during an internal cook-off among employees. 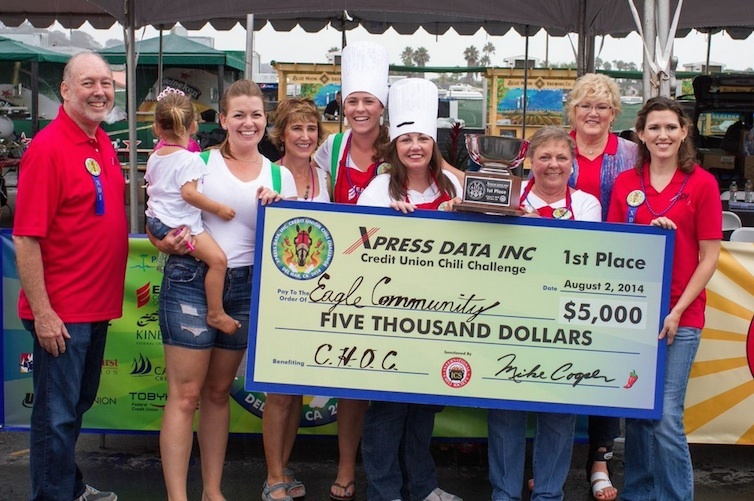 Xpress Data, Inc.’s 2nd Annual Credit Union Chili Challenge, sanctioned by the International Chili Society, drew credit union teams from as far as Pennsylvania to Del Mar Racetrack near San Diego.